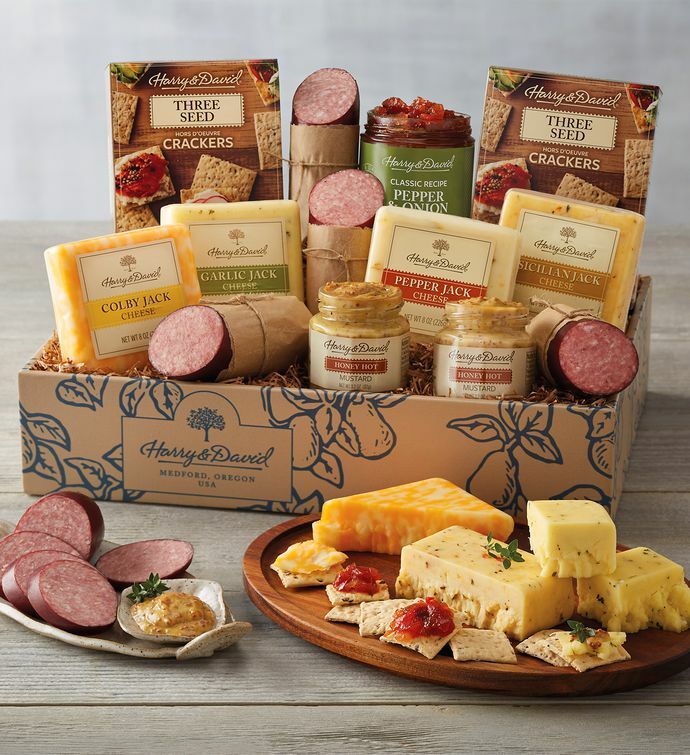 Our Supreme Meat and Cheese Gift Box brims with plenty of delicious meats, cheeses, and crackers, plus the ideal condiments to round them out. We've chosen a pair of our favorite types of sausage to go with a quartet of irresistible cheeses. Our popular pepper and onion relish and hot mustard set them off perfectly. Try mixing and matching slices of meat with the different cheeses.